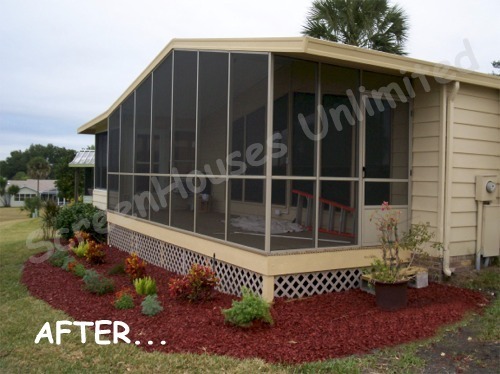 Our screened in porch kits can be customized for nearly any layout. Work with a specialist to get a kit sized perfectly for your space. Our premium do it yourself porch and patio screening kits help protect you from pesky mosquitos and help you better enjoy your outdoor space in our sometimes short summers. Want to extend to a full 3 season room or protect the contents from the winter snow? 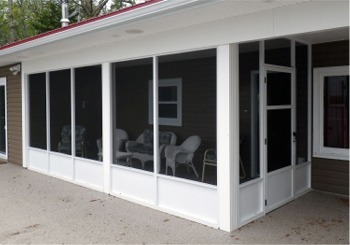 Upgrade at any time to the vinyl lip frame window inserts to maximize the use and value of your new patio room. The Canadian summer's are short enough without being kept indoors by mosquito's and black flies! 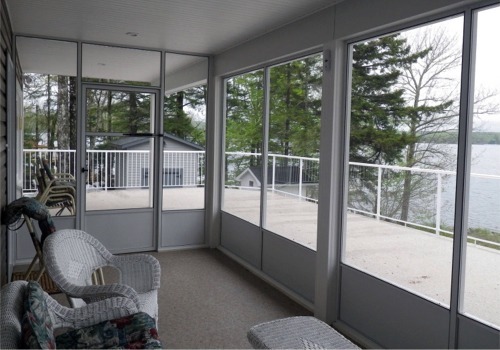 Increase your outdoor living space using a screened in porch kit that includes extruded aluminum framing and fiberglass screening that can stay up all year round with little to no maintenance. 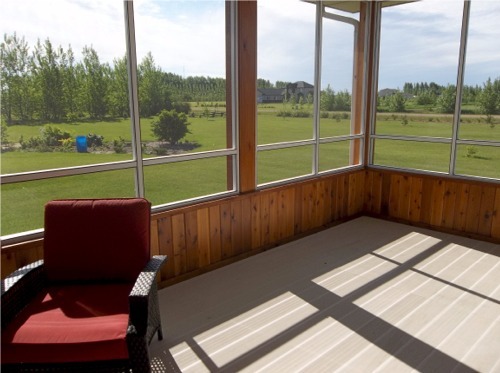 These screened in porch and deck kits are custom designed to fit your needs and unique dimensions of your space. 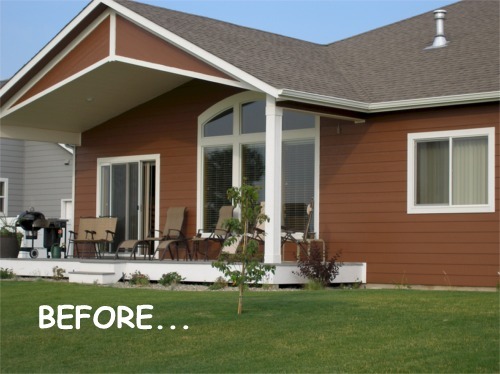 High quality and durable, our porch screening systems come in a variety of frame colors. 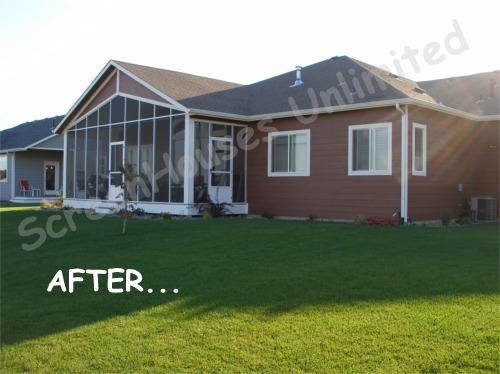 Our Represented Manufacturers are: Mason Corp.
Click on the pictures to see larger shots of before and after pictures. Nation-wide factory to door delivery! 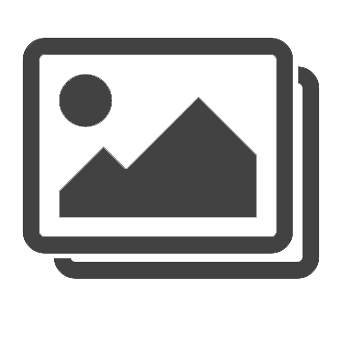 Over 16 years experience in helping you do it yourself! Any number of screen doors possible! 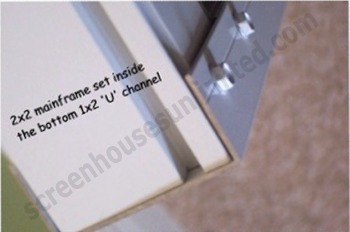 Attaches to all existing roof lines! 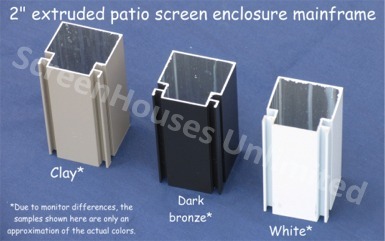 This is a materials supplied porch screening kit designed to add beauty and functional 3 season living space to your home. To help you close in your existing roof line, you will receive 16' and 20' lengths of material, a layout sketch and cutsheet. All material is extruded aluminum, and will be supplied in up to 4 different profiles depending on your application. You will be cutting both the vertical and horizontal profiles from these 16' & 20'lengths, and screwing them together, much like an Erector set! A chop saw with a metal blade is all you need. 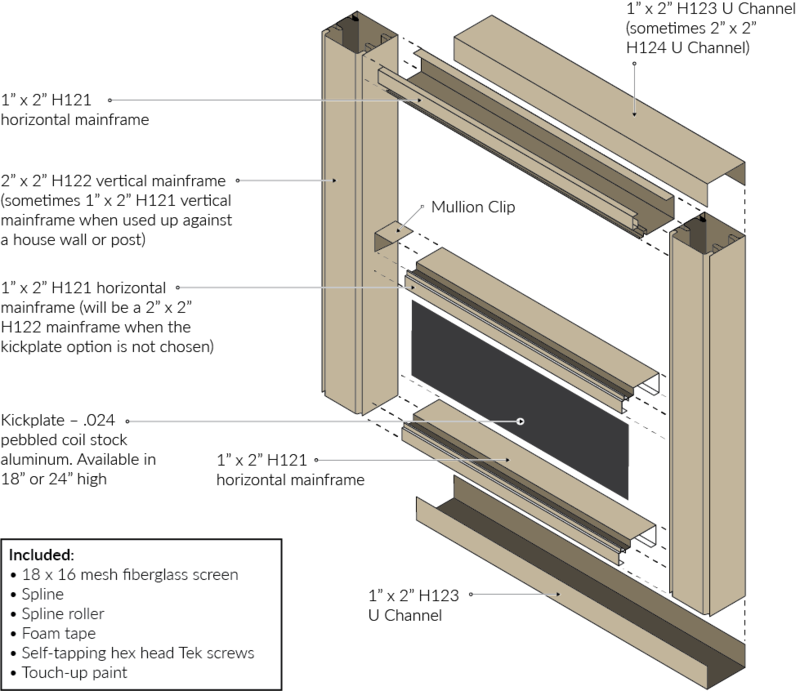 Our system is supplied with everything 'internal' to the kit including all the screws, mullion clips, spline, screening and weather-stripping required for your application. These are installed first. 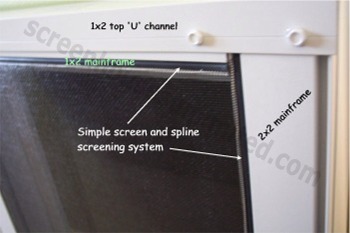 H123 - 1" x 2" U channels are installed on the top and bottom horizontal surfaces (floor & underside of existing structure) and on all vertical surfaces (house wall or existing posts). 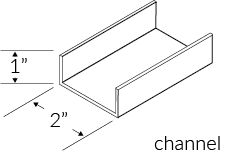 Sometimes H124 -2" x 2" U channels are installed on the underside of the existing structure depending on the pitch. 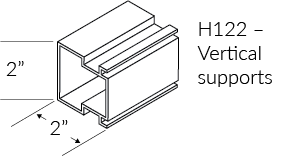 The H123 U channel has a .050" wall thickness . These are installed next. 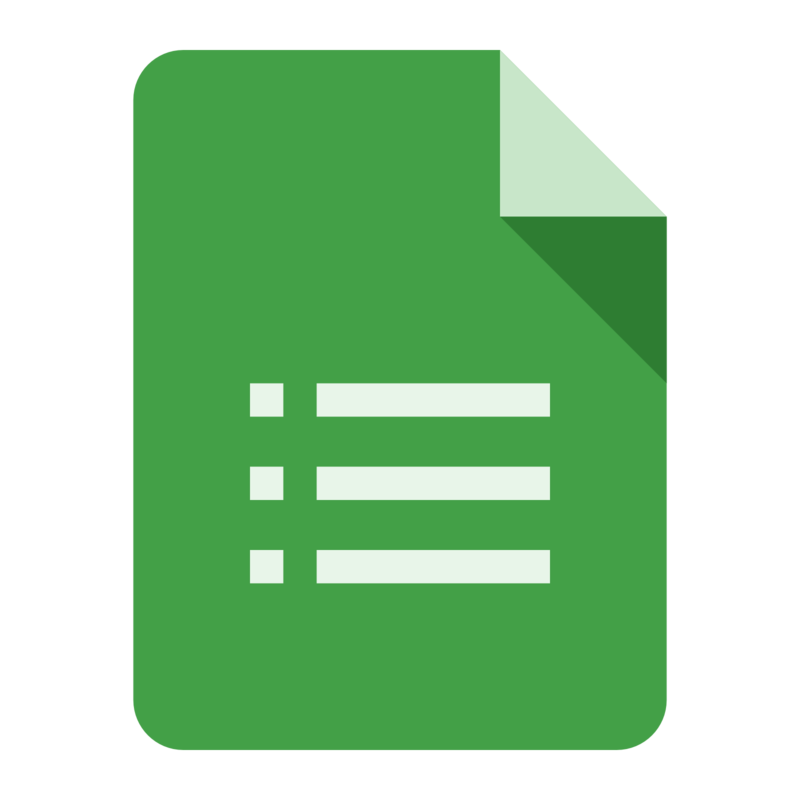 The 2" x 2" frames are used vertically and their spacing is indicated by red squares in your quotation drawing. If there is no kick-plate in your application, you will also be using the 2" x 2" frames as horizontal "chair rails" between the verticals. 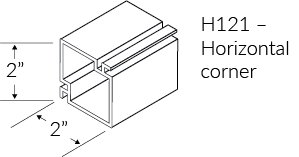 The H122 mainframe has a .048" wall thickness and the H120 mainframe (for corners) has a .062" wall thickness . 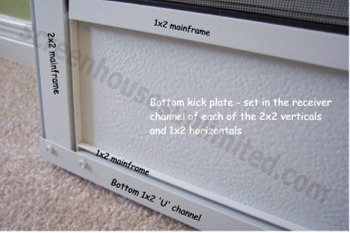 With 'no' kick-plate, the horizontal 2x2 that is installed between verticals can be placed at any height you wish. We recommend somewhere below the midpoint to create a clear line of sight for when you are seated in the room. Your wall height is determined by the highest 'floor to ceiling' measurement in your existing structure. You may choose to have as many 3' x 6'8" out-swinging knock down aluminum doors as you deem necessary. The framing is all extruded aluminum with baked on enamel finish. All parts, which you will cut yourself on site, are screwed together. No plastic pieces. 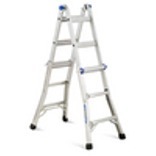 The supplied hardware is extruded aluminum for maximum strength and weather-ability. 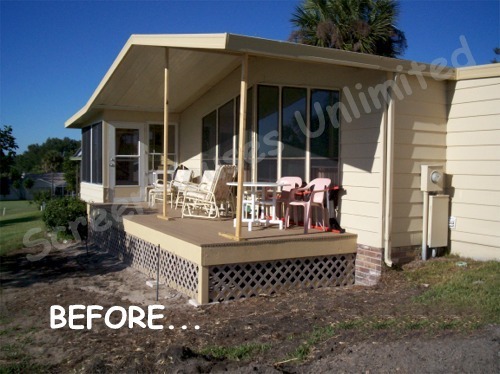 This is a permanent installation where the material MUST be screwed to a deck or patio. All pricing includes regular charcoal fiberglass screening with an 18x16 nominal mesh count and all the spline necessary for installation. This is a very high quality, long lasting screen room that is easily assembled within one to three days depending on the size of your application. You will need to have tools to cut extruded aluminum and steel. 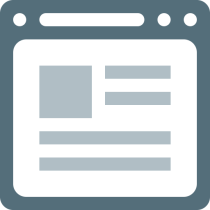 The mainframes are 2"x2" and 1"x2" while any beams will range in size from 3"x3" to 3"x10". In all cases finished lengths are cut on site by the customer. A 10" carbide tipped blade on a radial arm saw and/or a shop saw, will give you the best results. You may purchase these at your local home improvement center or perhaps even rent one. You will need to have a drill (cordless is more handy) with magnetic hex head bits to make it easy to use the metal screws supplied with your kit. Most other items you will need are standard... step ladders, screw drivers, pliers, tape measure, level, carpenters square, caulking gun, pencil, box cutter, chalk line and at least two pairs of hands! Since you are working with metal we suggest you wear protective gloves and eyewear. 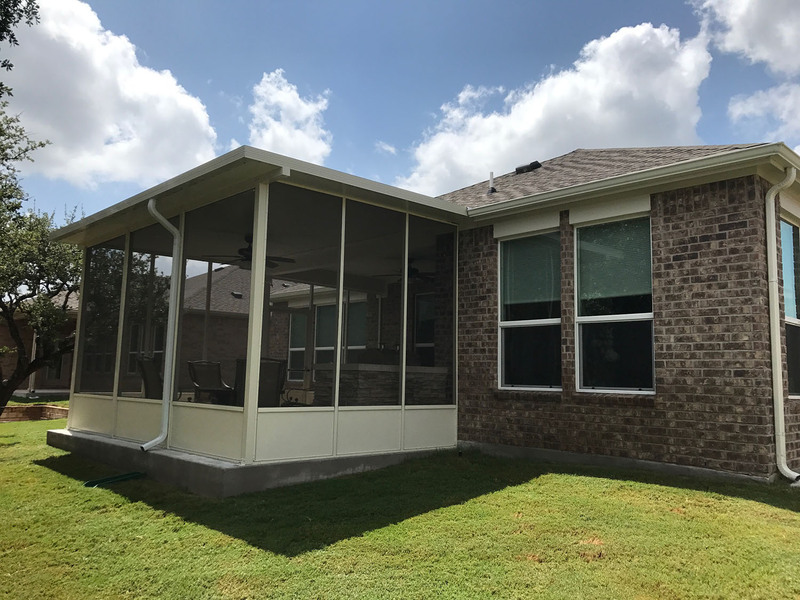 For the pan system patio covers, the "W" pans and flat pans often run in a configuration where the final pan will need to be "ripped" to fit the last section. 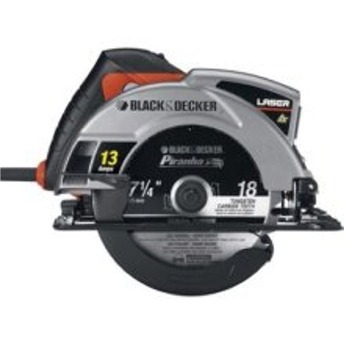 We suggest a pair of electric shears which can be purchased at your local home improvement center or perhaps even rented.